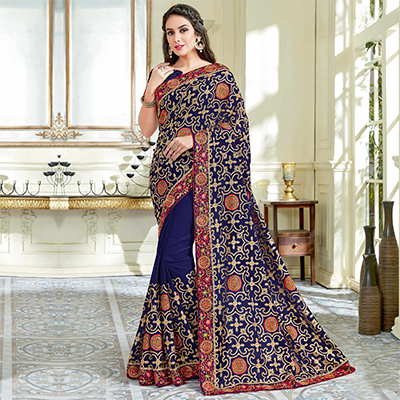 The fabulous pattern makes this navy blue colored saree. 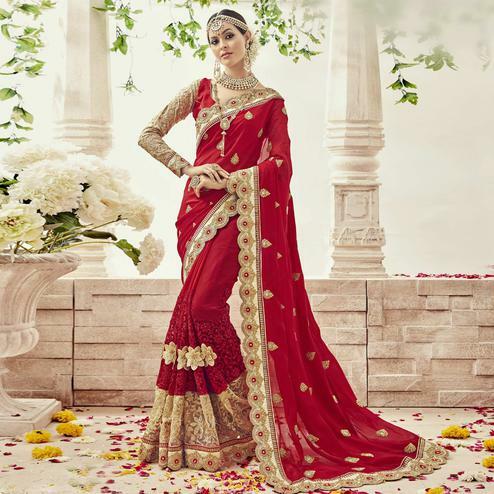 This saree fabricated on georgette beautified with floral embroidery work along with floral embroidered lace border which makes it very attractive attire. This saree is teamed with unstitched brocade fabric blouse piece , it can be stitched as per requirements. This attractive saree would surely attract you showers of compliments when you wear it for parties, social get together and family occasions, where you want to be center of attraction. This saree is lightweight and easy to carry all day long. Style it with right accessories for that complete ethnic look. Elegant and eye catching. Perfect choice for every women.